When/why I started running: I started running in September, 2012 in a Couch to 5K program. A good friend of mine told me she signed up for the program in order to get more fit and lose some weight and I thought I would sign up with her for support. I also signed up because it was a bucket list item for me to run a 5K and thought it would be fun to do this with a friend. One thing that I discovered from running: I realized that I could run. I have never been a real athletic person and was unsure if I would like running but running is really an individual sport and I am able to set my own goals and training plans in order to achieve personal success. Running has also taught me patience because it takes time to train for a goal and I am so proud of myself every time I have succeeded at that goal, whether it be a half marathon or a PR in a 5K or 10K race. 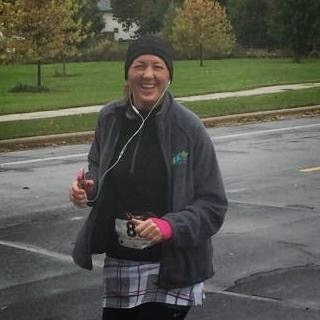 What I am currently training for: I just finished my second half marathon in September, 2014 and I will start training, this winter, for my third half marathon in Door County in May, 2015. Also, I am seriously thinking about training for a full marathon in the next few years. Favorite song to run to: I love Pitbull music because it is so motivating and my favorite song right now is "Fireball"
My running motto: Running does not come easy to me but I really do enjoy the sport and I have achieved more than I ever thought I would so my motto is: Pain will pass, pride will last. I start by noting which nights I have my kids that week. Then I plug in family outings and evening commitments. Next, I look through the pantry, refrigerator and freezer to see what can be thrown together for enjoyable meals during the week. Then I plug in additional meals on the menu and add those items to my shopping list. Does your family meal plan?? Who is setting goals for 2015 already?? Are you running your first half marathon or marathon next year ... Need a training program? 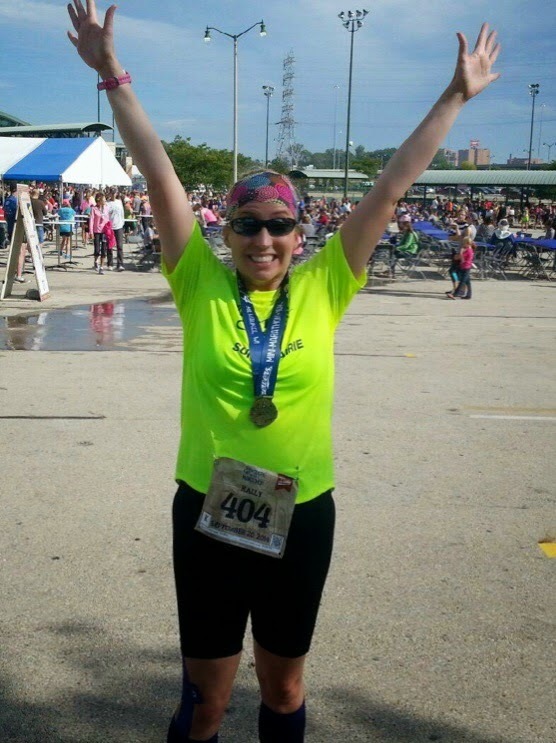 Running Diva Mom is now accepting more virtual coaching clients! As a Road Runners Club of America Certified Coach - I would love to help you achieve your goals and be your accountability partner. With a custom training program and weekly check-ins, I will provide you with the tools and motivation you need to succeed. 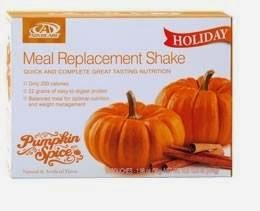 I am so excited about the PUMPKIN SPICE Meal Replacement Shake from Advocare!! I can't wait to rotate this flavor into my morning shake routine. At 200 calories this is the perfect meal replacement or afternoon snack. Mix with milk for a great recovery drink post-workout. 22 grams of protein, 26 vitamins and minerals, and half of your daily value of calcium. I always tell my clients never to judge a run by their first mile and to never reflect on a run based on their last mile. It's the miles in between that count! On Saturday, hubby and I headed out for a long run (number of miles were up for debate). We opted to turn around after our first mile and try again tomorrow. The wind was horrendous! In the opposite direction we felt more comfortable and just kept going and going ... and going! We ended up finishing 16 miles together. Then, I completed another 4 miles on my own. My last 20 miler for this training cycle is in the books and it is by FAR my fastest, long run EVER. I averaged a 9:51 pace and my last mile was 8:52. Cherish every mile and make them count!! When/why I started running: I started running with regularity in the fall of 2011 in an effort to expel negative energy in my life and to do something good for myself. I did the Couch to 5K program on my own at the gym; running brought a new joy to my life and renewed pride in myself. Running makes me feel whole! First 5K: 3/12; first 10K: 5/13; first half marathon: 9/14. One thing that I discovered from running: I discovered that I am far, far stronger and am capable of more than I ever believed. I learned that there is nothing that you can't do if you're willing to work for it! I am a happier person when I'm running--and also a better wife and mom. 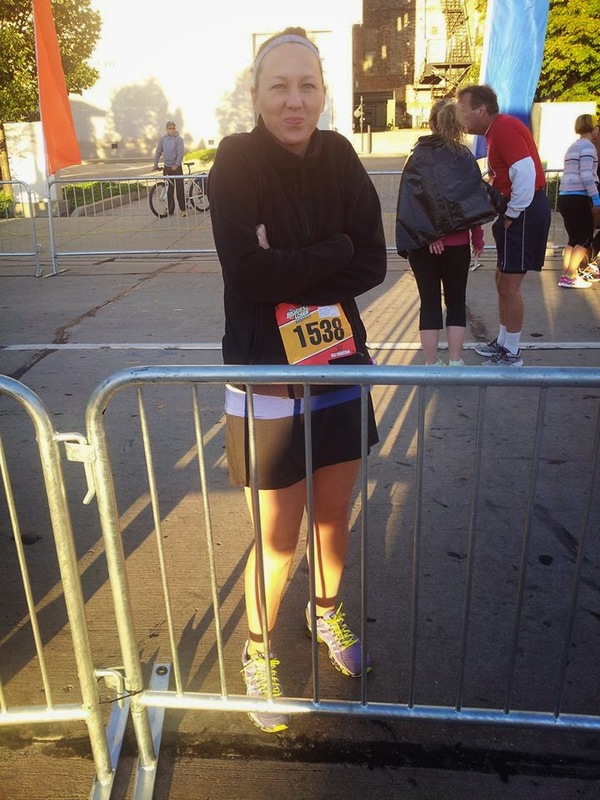 What I am currently training for: I'm seriously eyeing the Cellcom Green Bay Marathon in May! Favorite song to run to: Right now I love running to Jay-Z and Kanye West. However, I do love a good 80's power ballad or old school Metallica. 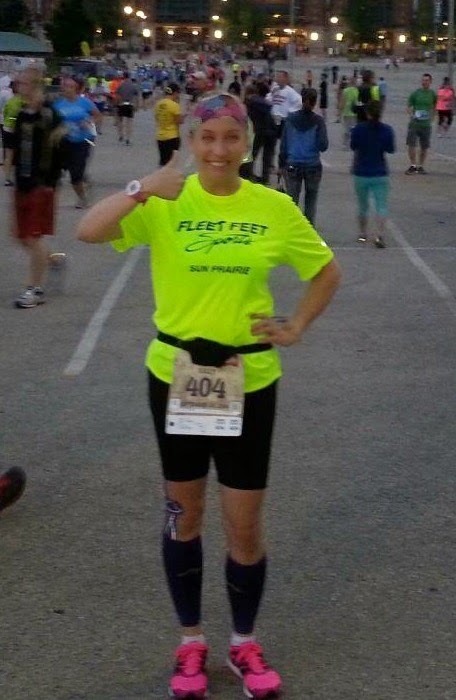 My running motto: One of my favs is from Coach Jamie: "Run your race; run your pace." I repeat this in my head (or even out loud) near the end of a long run when I worry about slowing down too much. It's okay to slow down, just don't quit! Running a half or full marathon this fall - and you are hoping to keep up with your training over the winter? Looking for something to get you through the holidays? Wisconsin winters can be tough for runners. I was looking for some motivation, too! 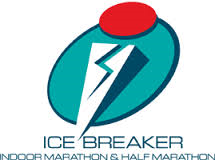 So, I registered for the Icebreaker Indoor Marathon. The full marathon is ~96 laps. A half marathon and 5K are also held the same weekend. I’ve enjoyed the half marathon several times. POST ANY QUESTIONS YOU HAVE BELOW. I ran the Lakefront Marathon in Milwaukee back in 2010. The race starts in Grafton and runners travel 26.2 miles to downtown Milwaukee's lakefront. I laughed, because the event has Lakefront in the title, and you really only have the opportunity to see Lake Michigan the last few miles. But, I loved the point to point course. I loved the time of year. I loved the mix of rural, residential and urban scenery. I also loved its proximity to Madison. This year, my husband trained for Lakefront Marathon as his third race covering the 26.2 mile distance. Since one only of us was running the race, we opted not to stay near the finish line (where the host hotels were shuttling runners north to the startline). We made reservations near the startline instead. We were late on making reservations, so we stayed approximately ten miles north of Grafton - in Port Washington. The Country Inn and Suites was right off of the interstate. Packet pick up was easy on Saturday afternoon. The expo was decent and spanned two exhibit halls. We made a few small purchases - a Lakefront Marathon coffee mug and a box of Rootbeer Gu energy gels. We found a great Italian restaurant in downtown Port Washington. We enjoyed carb-loading (and drawing on the table!) at The Past Shoppe. The atmosphere was great and the photo was tasty. We got to bed early as we were early risers on Sunday morning. After getting dressed and checking out of the hotel, we enjoyed the free complimentary breakfast. We alerted the front desk staff upon check-in that many of their guests would probably enjoy an early breakfast on Sunday. So, they offered all of the cold items at an earlier hour. It turned out perfect. At breakfast, we ran into a friend from Sun Prairie, Tara, that was running the marathon. The world is so small sometimes. We then drove to Grafton high school, where I was able to park near the startline in lawn that they were staging as a parking lot. We walked to the startline and huddled with the other runners inside the cafeteria. We also met up with my blogging buddies from the Milwaukee area, Bill and Amy. Amy (from Running is Cheaper than Therapy) was running the race. Bill would be meeting up with me along the course to spectate. The race would begin at 7:30 am. I had no plan for spectating, but after the runners were off and headed over the interstate and out into the country, I really had no clue where I was headed to watch for my husband. The event directors were warning spectators not to cross certain streets or get near the route. I ended up parking in a park and ride just off of the interstate. This was near mile five. Quite a few spectators were lined across the turn in the road, where runners would reach five miles. I enjoyed some of the signs I saw while I was waiting. It seemed like each spot I stopped to spectate, I didn't have to wait more than 20-30 minutes to see my husband come through. Everything was timed pretty perfectly. For most, I had to park a block or two away and walk to the race route. I then stopped for a potty and coffee break at a gas station and headed to somewhere between mile 10-11. After a quick break, I saw Amy come through as speedy as ever. That smile on her face and an intense bounce in her step were amazing to see. Soon after seeing Amy pass, I saw my husband come through at mile ten. He looked like he was feeling comfortable. I then headed to mile 16 and met up with my friend Bill. Once I saw my husband, his pace looked like he was slowing a bit. Bill and I then caravanned to mile twenty. We were able to drive behind each other the whole way along the course. I saw another friend, Dan, that I met at Haunted Hustle back in 2010. I cheered for him and his son a few times from my car along the course. I also blasted the rock music that was playing on the radio. It seemed to pep up runners that weren't using headphones. We parked easily right near the mile twenty clock. This is the point that most runners call the "wall". Most marathoners run no further than twenty miles and don't push themselves quite as hard in their training runs. So, by the time they've reached mile twenty of a race, they are starting to experience some things - physically and emotionally - that they haven't felt before. This is where you really have to find mental toughness and test your limits. He had slowed considerable, but still had ~4:00 within reach. He didn't give much expression when he saw me, but I figured he was in his zone. After seeing him, Bill and I followed each other down to the Lakefront again. I yelled for my friends yet again as I passed them near the lakefront. Amy was doing amazing and was on target to finish under 4:30. And, she did - with an phenomenal 4:28 finish. It was extremely difficult to turn into the parking lot near the finish. There wasn't tons of traffic, but the police that were directing traffic and runner's were crossing the path at this point too. I must have sat in this short line of cars for approximately twenty minutes. After eventually parking near the kite shop, I was able to walk across the park to the finish line. I waited approximately a half hour until my husband came through. He ended up fighting through pain and cramps to a PR (personal record) of 4:09 and some change. I was so proud of him and was so happy to reunite with him when he found me and tapped me on the shoulder. He was an emotional mess and I promised him that it was going to be even more amazing four weeks later - when he gets to run it all again with me in Madison! In fact, regular massages while training can help improve your performance! Massage aids recovery, growth and the repair of soft tissue by accelerating circulation. Additionally, regular massages enhance metabolism, increase blood oxygen capacity by 10 to 15 percent, loosen contracted or shortened muscles, and stimulates weak muscles. It may also reduce and eliminate pain associated with exercise, increase endurance, and control fatigue. Massages will enable more productive training with longer, more effective workouts. Is a marathon on your schedule or are you hoping it will be someday? Regular massages could help you reach that goal. It is more than just a luxury it is a beneficial alternative medicine therapy that can offer deep relief! It’s important to know that you may leave a massage feeling as sore as you would after a tough workout, you’ll want to schedule pre-event (like a hard workout or a long run) or pre-race massages about three to five days before the actual event. In fact if you can schedule it on a rest day, do so. Post-event or post-race massages follow the same rule of thumb: wait three to five days afterwards in order for any lingering soreness to dissipate. e strong and need to be used appropriately. Less is always more! A good massage therapist can help you find the best oils for your needs and body. 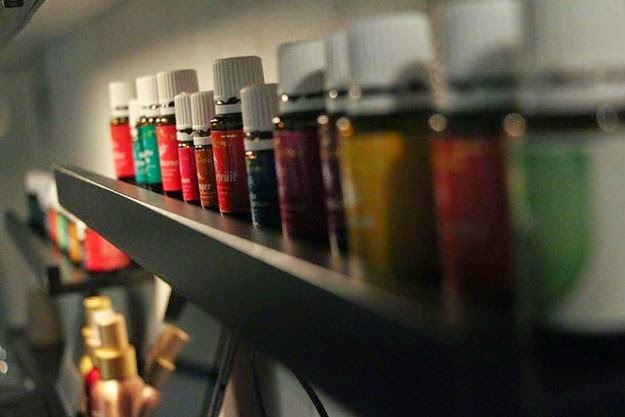 Urban Rituals Spa in Monona, WI offers an introductory class each month on essential oils. Oils plus massage will improve your overall health and well-being. Running isn’t just a sport or a form of exercise, it’s a lifestyle. It’s a part of who you are. It improves your health, happiness and focus. It’s a natural way to do something good for you body, mind and spirit. Massage therapy is a natural way to keep your body healthy and keep you moving forward one foot, one minute, one mile at a time. 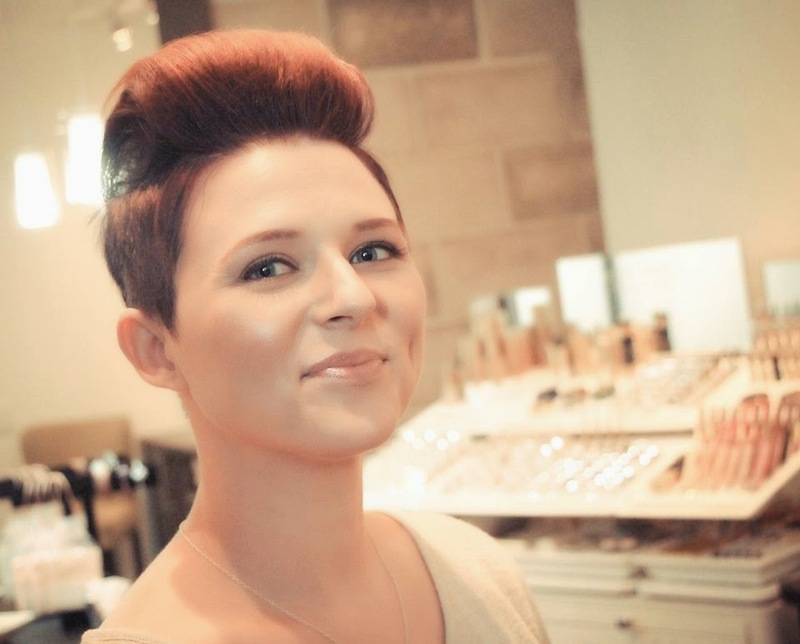 If you are attending the Womens Running Retreat on November 1 in Madison, you will have the opportunity to connect with Tegan of Urban Ritual Spa during the mini expo portion of the program. Ask her how YOU can benefit from massage and essential oils. Call to schedule an appointment at Urban Rituals Spa and mention this article for $10 off your first visit. Like us on Facebook for updated class information and specials. This was the first time EVER that I've ran three consecutive days of double digit miles. Friday, Saturday and Sunday each consisted of 10 mile runs. 30 miles of beautiful fall weather. ~4:50 that I wasn't on social media. ~3,600 calories burned. ~80 songs listened to. ~10 episodes of reality tv unwatched. With my marathon one month away (from yesterday, in fact! ), I needed to update my running playlist. I now have over 100 songs on my running playlist and it's quite an eclectic mix - to say the least! I've added some old stuff, some new stuff, some rock, some rap, and some pop. My times have dropped in the past couple of months and these songs have really been pushing me through the miles this week - faster. Check them out. I love going to the doctor, and they ask "So, do you exercise regularly?". I get to respond "Yup ... I run marathons". So thankful!!!!! I get on the scale and although the numbers haven't moved much lately, I didn't cringe jumping on it. I am feeling awesome in my skin right now. I've seen a real difference since I was able to start focusing on my own training a couple months ago. My body is changing tremendously and my clothes fit awesome. I'm fitting into pants that I haven't worn in a long time. I actually feel happy when I get dressed in the morning. I love how my tops are feeling looser around the middle. I did a double on Wednesday night. I ran a quick 5K around the neighborhood before my husband got home for our four mile run together. Seven miles - just like that. He's tapering for Lakefront Marathon in Milwaukee this weekend. I am looking forward to cheering him on and spectating and looking for a few other bloggers and running friends from the Milwaukee-area. Last week, I did 20 miles on my day off. Today, I decided to do 10-16. The forecast was for rain and wind. But I woke up and the ground was wet by the skies were dark and cloud and it wasn't currently raining. I fueled up and stored one gel in my handheld water bottle and headed out without any real expectations. I headed on a really nice route through a few different areas and felt really great. I conquered hill after hill after hill. I got in a lot of hill work this morning. And I still felt strong coming in at home at mile sixteen. I'm ready. Madison Marathon is just over one month away. I'm ready Madison - you're mine. I tried the Rootbeer flavored energy gel from Gu this morning. And, um ... it's amazing. YUM!!! Unfortunately, just like rootbeer, this one doesn't have caffeine. It's just what I needed from mile 6-7. Small changes make a BIG difference! Wednesday mornings are an opportunity for me to have a little alone time with Little Dude. Little Diva needs to get to school early for an extra curricular activity, so I take the opportunity to take Little Dude to the gas station for a donut. Every week he picks out a different one and enjoys every morsel. 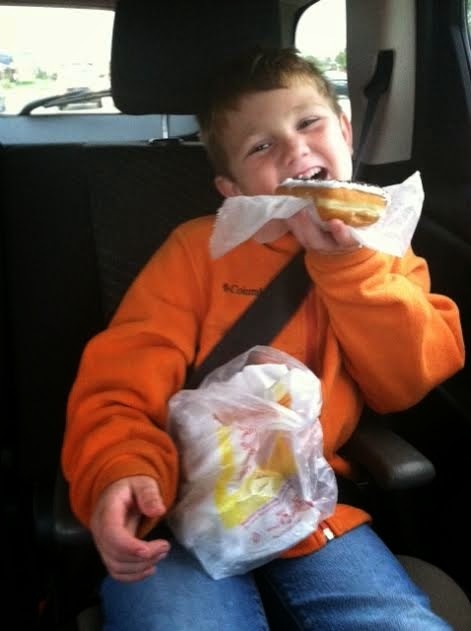 This Wednesday, however, he picked my favorite - a cream filled long john. And it was too much for him to finish before we returned to school. He asked me to eat it or toss it. He didn't want to get in trouble for bringing it into school - good boy!! I placed the donut in my lunch bag, got to work and laid it on my desk. I enjoyed a few nibbles on the frosting with my coffee. I looked at the donut and said to myself, "This isn't going to help me achieve my goals. ", and then tossed it in the garbage can so that I wouldn't take another bite. I then enjoyed my chocolate milk protein smoothie for breakfast. I was full until lunch. I recently experienced my very first ice bath. 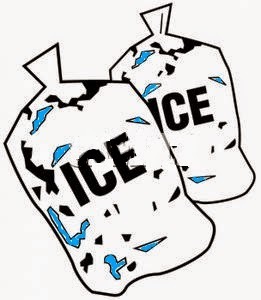 I had heard about the benefits of icing ever since I attempted my first marathon back in 2008, but I never made it a part of my routine. My husband raved about his ice bath earlier in the month, so I wanted to give it a try. After a twenty mile training run recently, I resolved to give it a try and cool down in the tub. I actually enjoyed it, and my legs weren't the least bit sore the next day. I can’t say that about earlier long runs in my training cycle. Usually I have some difficulty walking downstairs or have trouble standing up after sitting for long periods of rest. The first minute was the most difficult. The remaining nine were pretty easy – dare I say enjoyable??!! Bring a book, magazine or your favorite device for reading/surfing the web to pass time - just be careful! Making time for each of my children is important to me. And it’s important to them, too. Especially with my kids coming and going from one house to the other – together – I find it sometimes difficult to split them up. They appear to come as a set. But they are two separate little people that have separate needs. They thrive off of attention, especially one-on-one attention. So, scheduling little dates with each of them really sets my household up for success. I’m very lucky that my husband (who is not their father) supports this 110% and helps make it happen. He will often do something special with the other child or hang out with them at home, while they both get projects done or enjoy a little down time. While my son had a birthday party to attend last weekend, I took the opportunity to take Little Diva out on an adventure in downtown Madison. We enjoyed the find hour of the Madison Farmer’s Market and had lunch outside on State Street. We window shopped, I treated her to a couple of treasures from various vendors and we enjoyed a few pieces of fine chocolate. The opportunity for us to connect – alone – is always amazing and offers me time to tell her just how proud I am of her. Dates with your children don’t have to be expensive or extravagant – or even cost a dime. They can be simple. Sometimes, the highlight of my daughter’s day is an evening walk around our neighborhood together at dusk. She opens up and talks about her day and enjoys grabbing my hand and not having her brother fight her for it. The other day, I took Little Dude out for an active date on my favorite trail. After he got a taste of this spot earlier this summer during a geocaching excursion, he’d been begging me to take him out there to run/bike together. So, that’s what we did. We completed the five mile loop together and enjoyed the scenery, some exercise and fun conversation. We even had a small family of deer cross our path, which he though was absolutely amazing. Drink Chocolate Milk after your runs and train like there's no finish line. Running is a part of your life. So should refueling with chocolate milk. Just like stretching, it can be pretty easy to forget to refuel after your workouts. The kids are waiting for you, the laundry needs to be folded and your spouse probably has things they want to scratch off of their to do list, too. However, just like MAKING the time for your workout, you really need to MAKE time to refuel (and stretch!) after your runs, too. Your body will thank you later. An easy way to do this, is prepare your refueling beverage beforehand and have it cold and readily available after your workout. Keep single servings of chocolate milk in your refrigerator. This makes them easier to grab and also involves less dishes to load in the dishwasher later! Pop single servings of chocolate milk in a cooler to enjoy after a "destination run" away from home or for after a race. Prepare a chocolate milk smoothie in the morning and keep it in the refrigerator, so all you'll need to do is grab it to enjoy when your run is complete. Refueling with chocolate milk will also satisfy your sweet tooth and keep you from getting post-run hunger after a grueling workout or long run. It will keep you satisfied and help you feel fuller longer. You will be less likely to search the pantry later or raid your kids' snack stash. Chocolate milk is a natural choice when it comes to electrolytes, providing many of the same electrolytes that are added to commercial recovery drinks (calcium, potassium, sodium and magnesium) along with fluids to help you rehydrate. In fact, some research suggests milk may help you stay hydrated after exercise, more than some commercial sports drinks. Read more about refueling with Chocolate Milk.